Finally i had bought a new Converse. I had been searching for a comfortable yet suitable shoes/ sneakers for my daily uses. I been walking in Converse store for few times, finally i found the "loved" one, and its limited edition too..
**Converse has teamed up with Grammy Award winning band Green Day to produce the Green Day x Converse Chuck Taylor Collection. Producing four sneakers, each sneaker showcases an album released from Green Day. 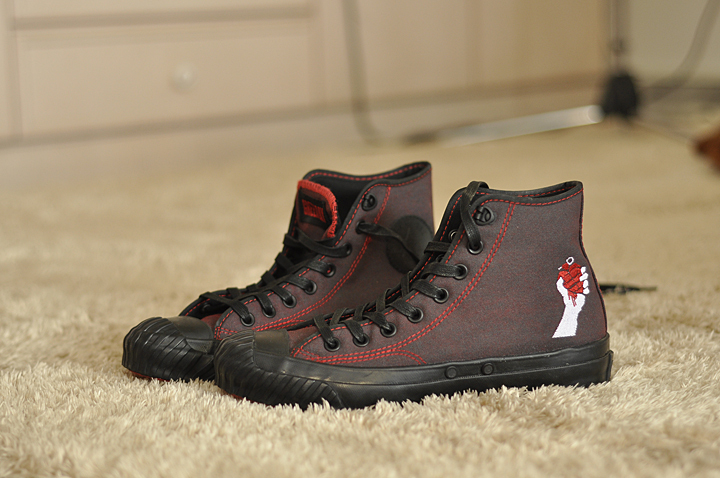 American Idiot is showcased in an All Star High and All Star Bosey Boot, Dookie is featured in an All Star Low, and Kerplunk in an All Star High. Each sneaker showcases the album art of the respective titles.